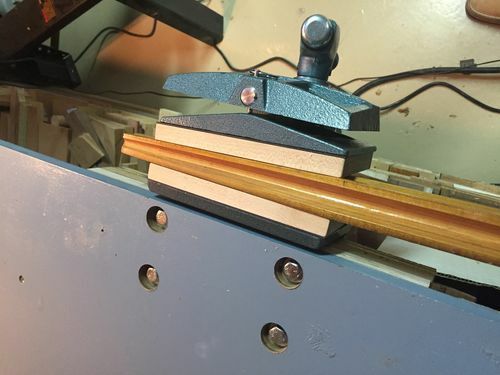 I have several mechanics vices around my shop in various sizes but have always relied on clamps for woodworking projects. Tireing of this practice, I decided to look at woodworkers vices. 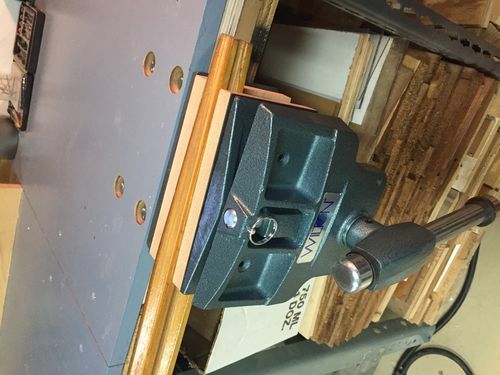 I don’t use a true woodworker’s type workbench and rely on my table saw outfeed table as a general work area, so I wanted to mount the wood vice in the end of that table. 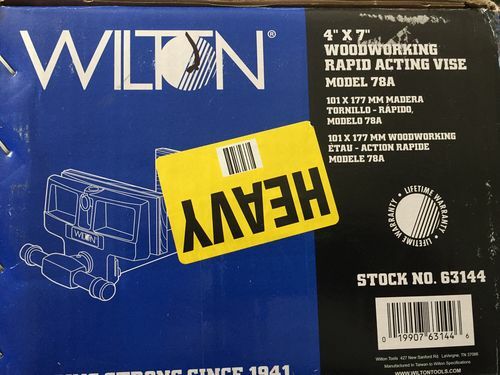 After some internet research I decided on the Wilton 79A Pivot Jaw vice and ordered one on-line from Tyler Tool. The vice was shipped from CPO Commerce and arrived at my location the next day, packaged well with no damage. 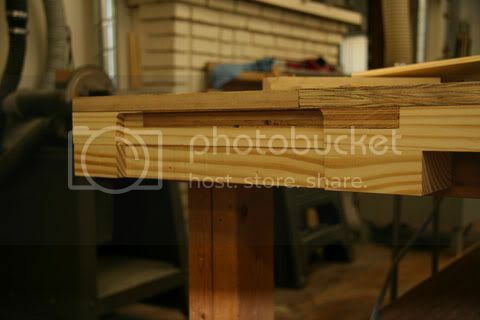 This is a heavy vice and my table was constructed out of simple plywood and construction framing so the first thing I had to do was reinforce the table and thicken up the top in the area of the vice. I then mortised out a portion of the edge of the table so the fixed jaw of the vice would be flush. 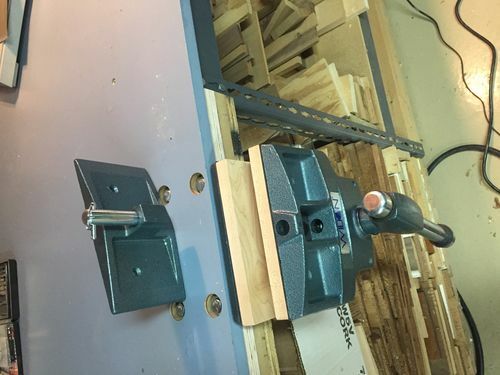 All of these wood vices mount differently so it would be advisable to select you vice first and design your workbench around it. I made wood jaws out of some hard maple I had in the shop. My jaws are 16” wide and will open to 10” with the pivot jaw installed. Wilton makes a number of versions of wood vices. This model has “Rapid Action” so once you loosen the screw a couple of turns you can slide the vice open and closed without turning the handle. It also has a pivot jaw to allow tightening on a workpiece that is not parallel on both edges. The pivot jaw can be easily removed making it a fixed jaw vice. The hole spacing for the auxiliary (wood) jaws match on both the fixed and pivot jaw plate so your auxiliary jaw can be easily moved between the vice jaws. The pivot jaw also moves vertically 9/16” to act as a full-width dog for those who use the vice in a clamping action. For my use, the verdict is still out as to the usefulness of the pivot jaw. The vice is heavy duty and works smoothly. I’m hoping to find one of these on the used market. They could come in handy – especially in woodcarving blanks. Should make a Good choice for an “All Round Use” vise. I’m curious about your impressions of the vise now that you’ve had it a while. I built a “general use” bench to accommodate table saw outfeed and some assembly work maybe summer before last and was looking for vise since then. 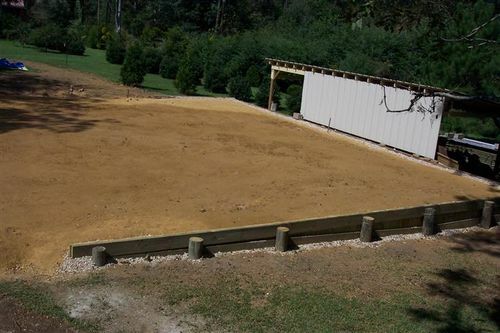 I tore my workshop down to build another and I’m about to pour concrete for it now. Therefore, no hurry on the vise, but bargains do not come easily. I like to peruse the classifieds (and woodworking forums) over coffee in the early morning hours. A couple of days ago, I picked up the Wilton 79A from a craigslister who had been given this gem. He had a generous uncle who gave him lots of tools he could no longer use due to illness. Still in top shape, he was asking $30. I add 50 cents per mile roundtrip to my estimated costs when considering most craigslist “bargains” and sometimes just stay home. Sometimes, I simply need to get off the “plantation”, eat lunch out in the world, and listen to some good tunes while riding. When I saw the condition of this Wilton 79A and recognized the rapid-action function, I paid the guy an extra $10 to help ease my conscience. Even at the 100 mile round trip rate, it was a great date for the used tool find. I was ready for a trip out into the world, regardless. The Wilton vise is clean and fully functional so I’m looking forward to the new shop. This one will sit on a shelf for a bit while I construct the new digs, but that’s ok. I hope you’re finding it reliable. Mine is stamped “Made in Taiwan” on the bottom. -- Like Guy Clark sez - "Sometimes I use my head, Sometimes I get a bigger hammer"
This vice has worked very well in my shop and I’ve had no problems with it whatsoever. I don’t use the pivot jaw much. The fixed jaw adapts better to my particular use. The rapid action (quick release) takes me by surprise from time to time. I attempt to open the jaw a small amount by turning the screw outward and it won’t do that. It does speed thing up though when you need to open it wide. Thanks hate2sand. Just have to build the shop then I get to use it. The dirt pad was quite a chore, so maybe construction will not seem so hard. I just purchased this the 4 X 7” 78A and have been very happy with it.